Is Restylane a good treatment option for smiles? I want to use Restylane to treat/fill my smile lines. I am 50 yrs old & have had Perlane & Botox on other areas. Is Restylane a good treatment option? Which filler lasts the longest? I have tried several different fillers, including Restylane, and they only last me about month. What should I try or do? just had restylane lip injections yesterday...look too big? I had lip injections done yesterday for the first time. I'm so scared now, I look fake & my husband wont even look at me. He says I look like the joker. Please tell me they will go down. What can I do? I just wanted them to look full but not like a clown. Can a woman with factor five leiden receive restylane injections? 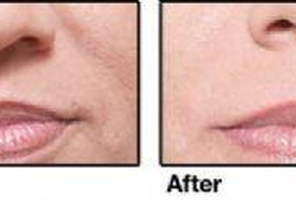 Can restylane be used in fine lip lines? Can it be used with perlane or does one use one or the other?